Love this look! Simple and looks great on short nails too! 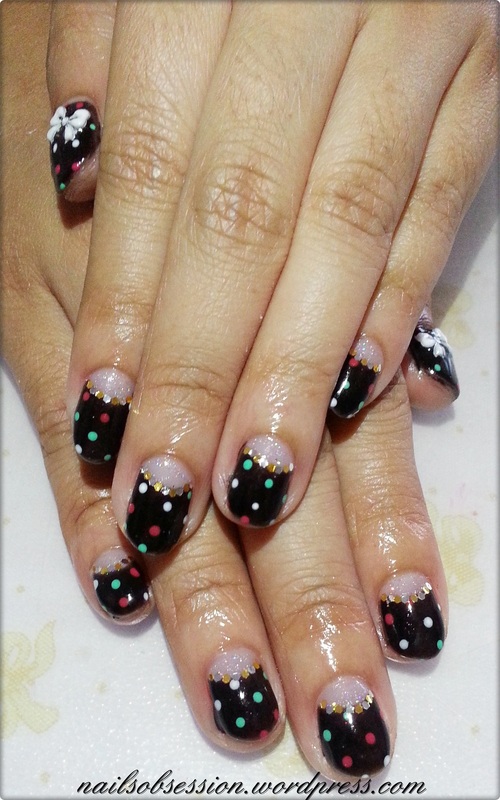 Sorry the lightning was too bright.. Polka dots also done with gel. I used to do polka dots in arcylic paint as my UV lamp can never cure them fast enough leaving them looking “crumpled” even after curing for 4 minutes, but the problem with acrylic paint was that it will tend to chip if I put on too much paint and too little top coat! But this problem was solved after I switched to LED, no more “design crumpling” yay!